For hip-hop fans, a clear highlight of 2016 was the November release of the sixth and final album by A Tribe Called Quest, We Got It From Here… Thank You For Your Service. The project featured post-humous contributions from Malik "Phife Dawg" Taylor, as well as included Kanye West, Kendrick Lamar, Elton John and Jack White, among other celebrity guests, but despite its cultural recognition and critical acclaim, the album did not appear on the 2018 Grammy Awards' list of nominations. Tribe has been nominated for Grammys in the past, but has historically been snubbed in the past, with 2018 proving to be no different. 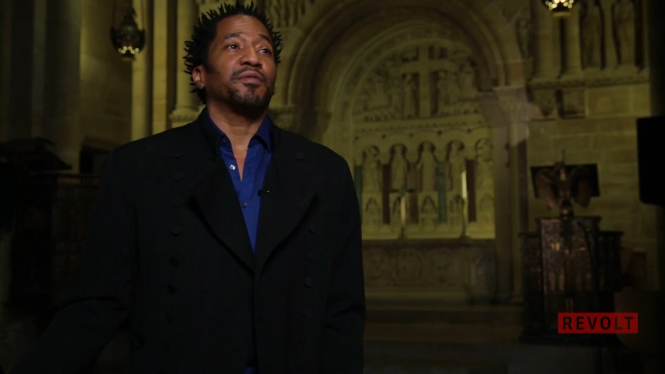 Q-Tip took to Instagram to react to the Grammys' decision to omit the project, expressing his distaste in the awards committee in a series of five separate Instagram videos. "The last f—ing Tribe album and y'all n—s don't give us no f—ing nominations?" the Tribe leader said in one of the clips. "F— y'all Grammy n—s." He also addressed how this year's nominee list is more diverse than years past, but exclaims that this furthers the blow that ATCQ wasn't included. "Y'all think it's some sort of caveat because this is the first time that no white man is ever nominated in no major categories and s—t?" he continued. "We were the most Black-cultured group out. That's all we stood on. That's what we represented." Q-Tip also brought up how the group performed during the 2017 Grammys, in tribute to the late Phife, to further express how disappointed and frustrated he was to see this year's chosen contenders. Take a look at Q-Tip reacting to the 2018 Grammy Awards nominee list in the clips below. Q-Tip to A Tribe Called Quest fans: "Expect another incarnation"